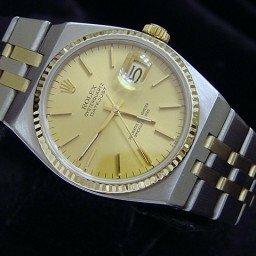 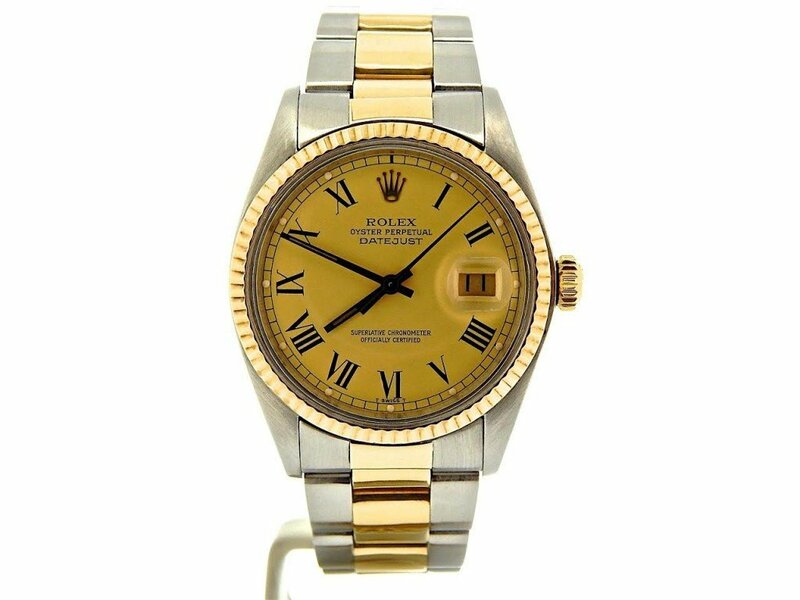 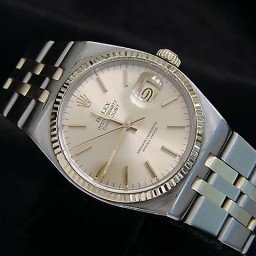 BeckerTime is proud to offer this super nice Men’s 36mm 100% GENUINE ROLEX 2Tone 14k Yellow Gold & Stainless Steel Datejust Watch ref #16013 with a Gold & Black Roman Dial. 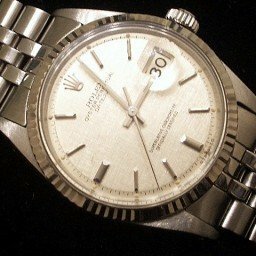 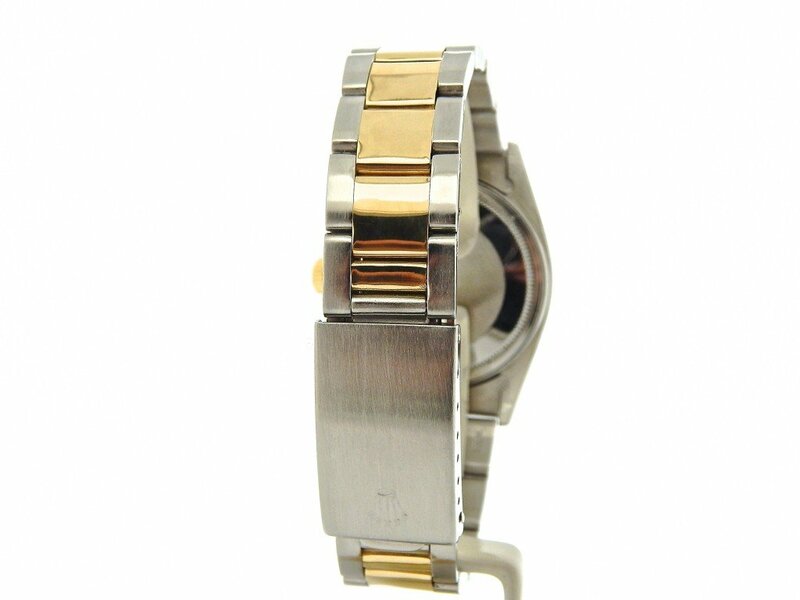 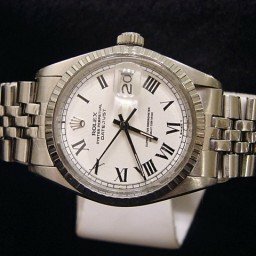 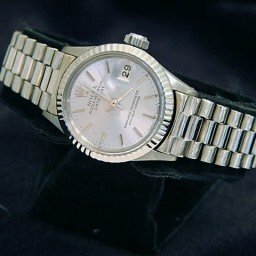 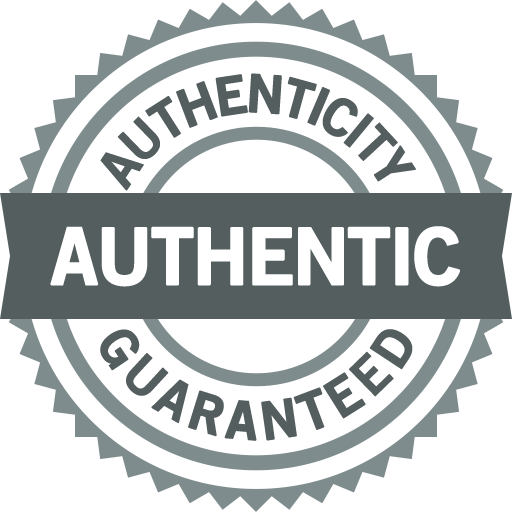 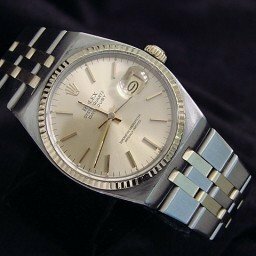 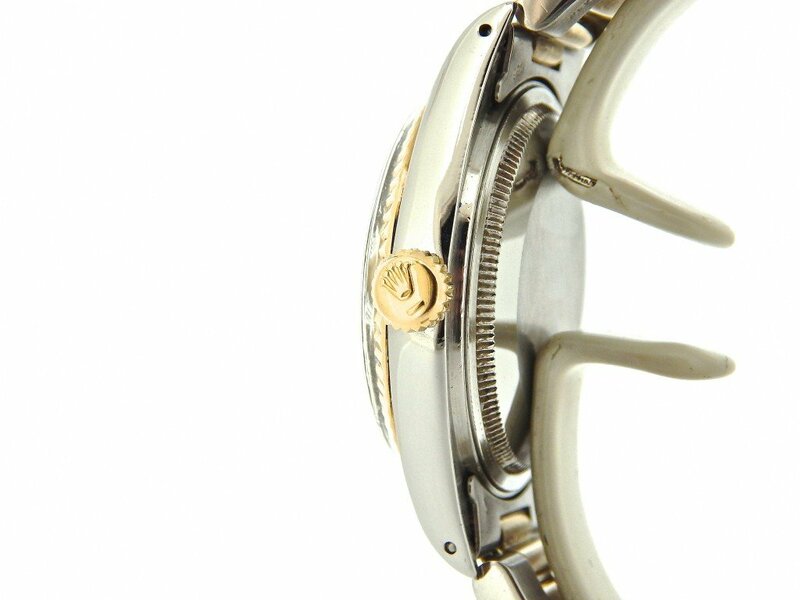 And it get’s better…This GENUINE ROLEX is the desired QUICKSET MODEL and has a Rolex Oyster band. 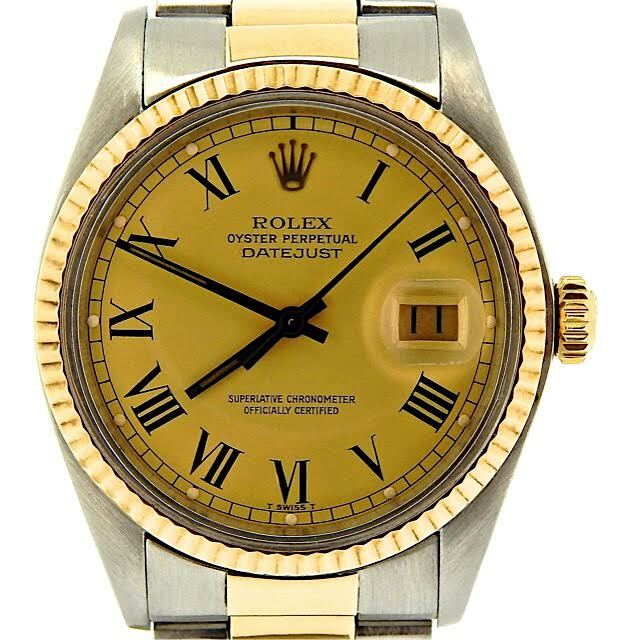 Dial Rolex GOLD CHAMPAGNE dial with BLACK ROMAN numeral markers. 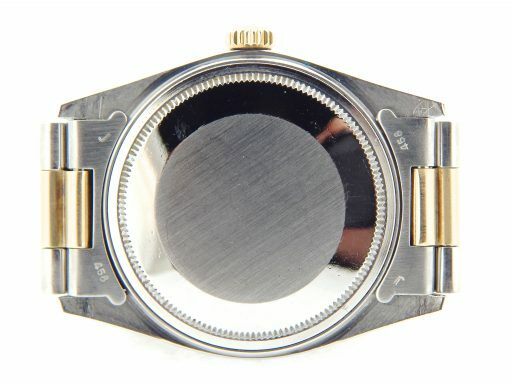 The hands have been painted black to match the dial. 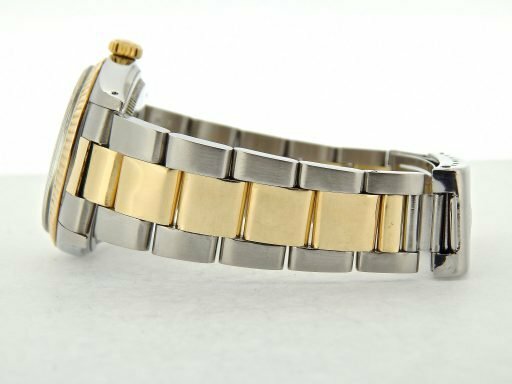 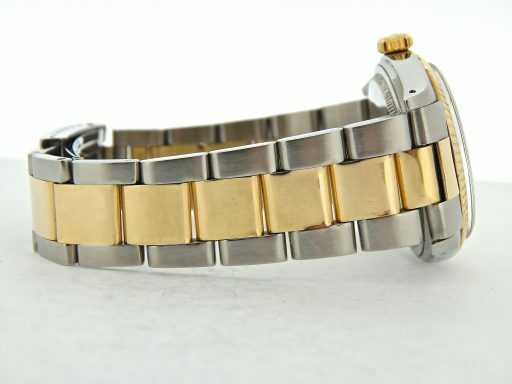 Band Rolex 2tone 14k yellow gold and stainless steel Oyster bracelet with Rolex signed clasp is in super excellent condition.